Everyone talks about brioche, but it seems so scary! Let's start easy, with a scarf that gives you the stitch repetitively, and has built in "lifelines" in case you goof up. Anne will help you through! We bet you'll become addicted. Please download the newsletter for more info. Wednesday, Feb. 13, 6-9 p.m.
Mary Ellen's students have been asking for a class to finish up a number of UFOs that they enthusiastically started in her classes. So here it is! If you took a class from Mary Ellen, this is your chance to get another little bit of help from her. Please download the newsletter for more info. Wednesday, May 1, 9-noon. Want a bigger project? Join Valerie and learn mosaic crochet as you make on this stunning afghan of bold colors and graphic patterns. The pattern is easily adjustable for sizes from baby through king! We?ll meet once a month to learn new stitch patterns and to keep progressing. If you can do single and double crochet, you can do mosaic crochet! (If not, sign up for the Crochet 101 class!) Please download the newsletter for more info. We'll meet once a month on Saturdays. Do your joints get tired when you're knitting? We may have a solution! Let Valerie show you how it works. How do you use those mysterious pins?? Please download the newsletter for more info. Thursday, May 16, 6-9 p.m.
Lace AND beads! What could be a better combination? These little mitts would make a great set for a bride, or a terrific Christmas present done WAY ahead! Please download the newsletter for more info. Saturdays, May 11 & 18, 2:30-5:30 p.m.
Cynthia loves designing knitting patterns, and we?ve had such fun in these classes for the past few years, working through her new ideas. This is a chance to play with surprise patterns (and even to make requests for patterns you?ve always wanted?we?ll see what we can do!). Please download the newsletter for more info. We'll meet once a month on Wednesday or Thursday mornings, or Thursday evenings. Socks are such fun! They're little pieces of knitted artwork. Eleanor is starting a new section of her Sunday afternoon sock club. Each meeting, we'll work on a different pattern. Come and enjoy the laughter, learn something new, and make socks for you, your family, and your friends! Please download the newsletter for more info. 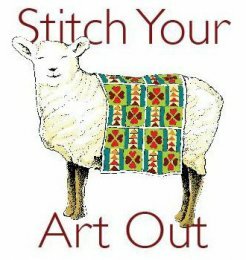 This class works if you've never made a sweater before, or if you've made lots of them! Cynthia is known for her fitting and rejiggering skills, and when you're done, this sweater will fit! Choose a morning or an evening session. Please download the newsletter for more information. This stunning shawl combines lace, cables, and basic stockinette to create an elegant and contemporary look. Please download the newsletter for more info. Thursday, Jan. 31, OR Thursday, May 9, both from 6-9 p.m.